Serial number is 9A106253 the one after 9A looks like a Roman number one. Need to know what year and make sure serial is correct so I can order parts. Any help greatly appreciated. I have a Massey ferg 135 that I just bought. There is not a plate with a serial number on the front dash. 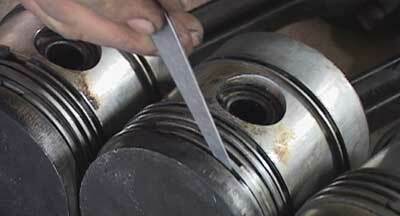 On the right side of the cylinder head– it looks like there would be a number there but there isn’t anymore. I have a massey ferguson 135 diesel engine w/ a serial number 72N8L18872. can you tell me what year it was built and what it is worth. I just learned that my MF TO 20, Serial Number 65508 was built in 1966. How can I tell which carberator to order? FG43278 as written on original purchase invoice but cannot find it stamped on the tractor anywhere. 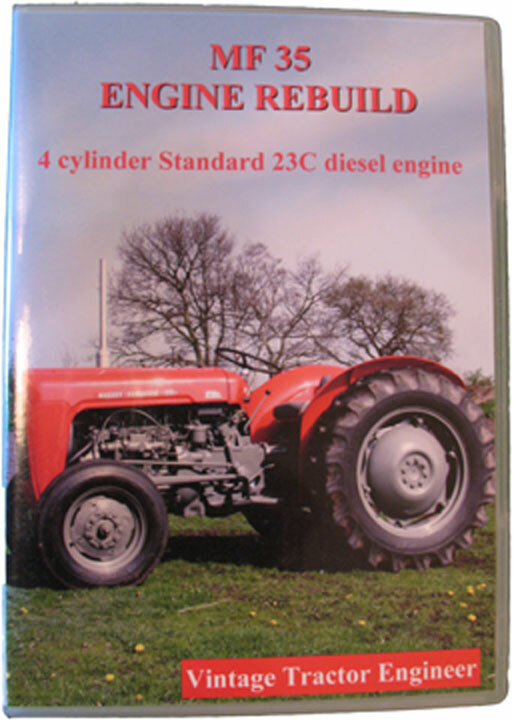 I have a Massey Ferguson 125 with a Continental gas engine. Serial # is SGW641019890. Can you tell me what year it was made? Hello. I purchased what I believe is a 1965 Massey Ferguson 135UK model with Multi-Power. However, I’m not 100% sure if all the sheet metal that’s on the tractor is original. I say this because the rust color is different on the hood then it is on the front nose clip and the steering section. There is a data tag and it has a serial number of FG-21311 on it. Being I have no idea what the FG represents, I’m basing my guess off of the 21311 which will put it as a 1965. I have found a few tractors on the Internet that look like mine, with the mesh grill and no headlights, but I can’t find any info that pertains to them. If any one can help me out, I would be very thankful. I have a Massie Harris Ferguson made in Coventry by the Standard Motor Company serial number TED433456 supplied by Walter A Wood. Anyone have any idea what year it might be and who might be able to restore it at reasonable cost? I have a massey ferguson 135 diesel engine w/ a serial number 9A147342. can you tell me what year it was built and what it is worth. I have just bought a MF135 with a serial number FG24196, which was registered 1966 in Finland but obviously built in 1965. May teh letter in front of the serial number has something to do with the country? hi,can you tell me the details of massey ferguson 135 tractor with serial no 171948.it is made in england and sent to india.please give the details. I’m in Australia and have just bought a restored MF 135, and the Serial Number is F20530. It looks to me like it might be made in 1965, from your information. Does the F mean anything, like place of manufacture? I have been trying for months (pre xmas 09) to work out year of my mf135 . 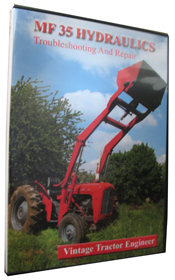 Yes I have looked at all the sites ,even went through Every page in th archives on tractor forum . Actually , I found the mf135 to have the Most enquiries about serial numbers . I am in Australia , the number I have on my plate is – 7T3X475965 . It is stamped on the plate , I have checked with other mf135 owners around my area , they also have 7T3X efore the last numbers , is this an Australian number . My tea20 has an ordinary number & is varified , but I can’t work my mf135 number out . Much & many thanks for your kind assistance . I have just bought a Massey Ferguson 135 for restoring and i’m trying to find out the age for curiosity and to help me for ordering parts. I’ve looked at various web sites and i’ve came across this one and others. This website serial numbers match mine but on some other sites, i’ve noticed that the serial numbers start like (09A_______) or something like that which are longer and come up with the year. I believe my serial number is stamped on the cowel left hand side underneith the steering wheel which says 5820 with all the patents. If you could please help me to explain the differences it would be much appreciated! …there is a bit of info there. It may be worth emailing the webmaster, as he may be able to answer your questions.